This is the next step up from day skipper. 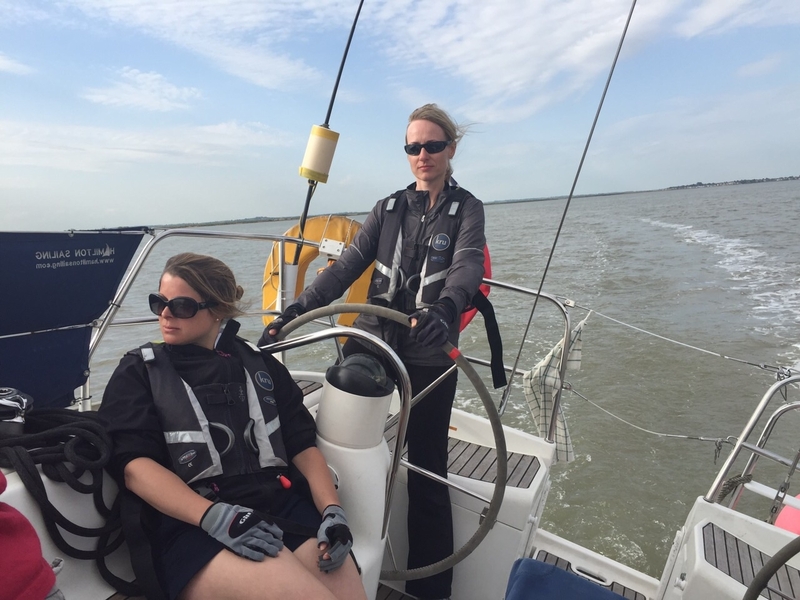 The RYA Coastal Skipper course is a five- day course and must be completed over five consecutive days, so it can't be split over two or three weekends. The suggested minimum pre-course minimum experience is Day Skipper. The Coastal Skipper course covers the more refined advanced skippering techniques required for coastal and offshore passages. You tutored throughout the week and are part of a ongoing assessment, on successful completion of the course you will be awarded the RYA Coastal skipper certificate. You can come and do the course by yourself or with friends. If your friends/partner wants to do the Competent Crew course they can do it at the same time you do your Coastal Skipper and on the same boat as yourself. Practical courses are run from Neptune Quay Ipswich Suffolk IP4 1Q just 1 hour from Liverpool Street to Ipswich then a 10 min walk. If you're driving then it's about one hour from the M25 on A12 & A14. There is free parking at the Marina with 24- hours security.